The premier states that in the country "there is no place for Islamic militancy, terrorism and corruption". The government recognizes the educational qualifications achieved in the madrassas on a par with those of public schools. Dhaka (AsiaNews) - The religion of Bangladesh "is Islam. 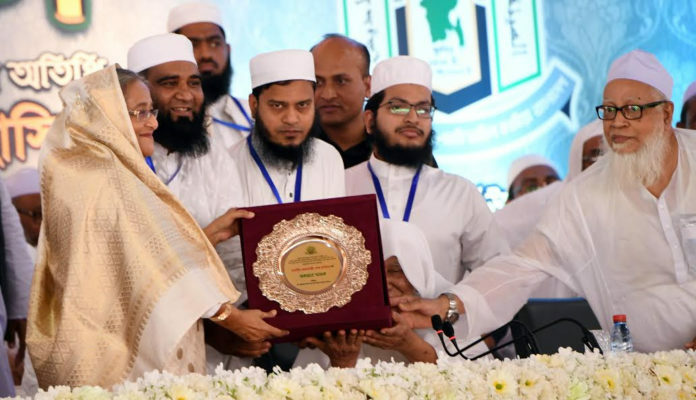 Anyone who pronounces offensive comments against it or against the Prophet Muhammad, will be prosecuted according to the law " stated Prime Minister Sheikh Hasina yesterday. She was speaking at a gathering of madrassas [Koranic schools] in Dhaka. "I know that on social media - she added - there is a lot of propaganda. Pay them no attention ". The event was organized by Al-Hiyatul Ulya Lil-Zamiatil Qawmiya, an organization that gathers the "Qawmi" institutes, Islamic schools not managed by the government that follow a specific educational model. The meeting was an opportunity to thank the government for recognizing the educational qualifications obtained in these madrassas on a par with postgraduate courses in public schools. For the occasion, the executive has also decided to postpone the school exams that were to be held yesterday, attracting the criticism of many teachers. In all, 2.7 million children had to take the test. 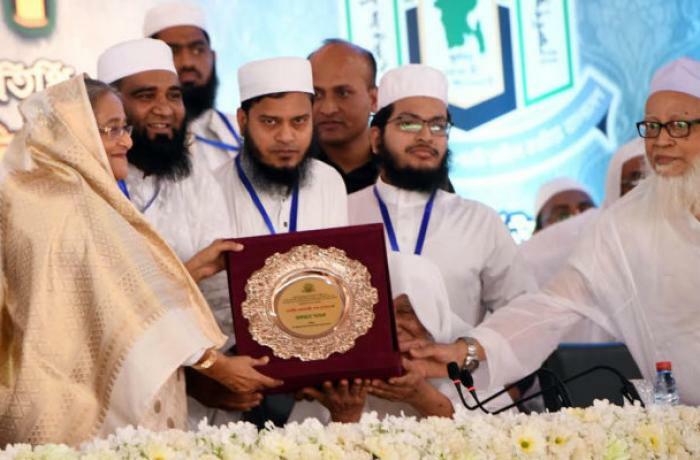 From the stage, Hasina said that in Bangladesh "there is no place for Islamic militancy, terrorism and corruption. Bangladesh wants to show that Islam is a religion of peace and wants to be a peaceful, prosperous and developed country ". Finally she recalled that Saudi Arabia is providing donations to build 560 "model madrassas" and has invited everyone to pray for the general elections, which should take place in the last week of December.